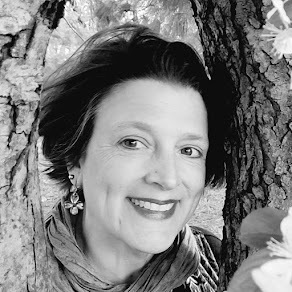 The Poem Farm: Poetry Friday, Peek, & Circular Poems! 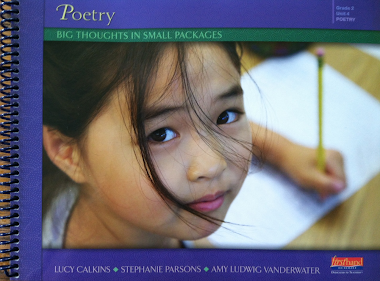 Poetry Friday, Peek, & Circular Poems! Today I am excited to welcome fourth graders from the class of teacher Ken Hand and Intermediate Literacy Coordinator Kristie Miner. They join us from Tioughnioga Riverside Academy in the Whitney Point Central School District in Whitney Point, NY. But first...a quick poem lesson. 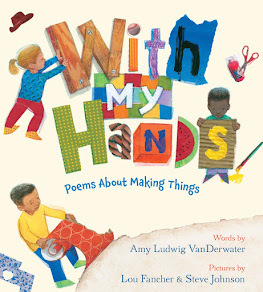 Over the past week, I have been revisiting last year's project in which I wrote and posted a new children's poem each day. For each remaining day of April, I will continue to do so, with a particular focus each day. At times, it is difficult to know how to end a poem, so the words end up hanging out in space. One way to tie things up at the conclusion of a story or poem is to go back to the beginning. Writers call this "a circular ending" or "going out the same door you came in." Sometimes such an ending repeats exactly the same words, and sometimes there is merely a hint of the beginning in the ending, along with something new. Not sure how to end a piece? Check to see if you might find a thread to pick up way back in your first line or two. And now...our Poetry Peek! Welcome to teacher Ken Hand and Intermediate Literacy Coordinator Kristie Miner. Below, Kristie explains their classroom publishing station. All year, students in Room 203 at Tioughnioga Riverside Academy have filled the pages of their writers' notebooks with words and illustrations grown from their own ideas and through the inspiration of others. 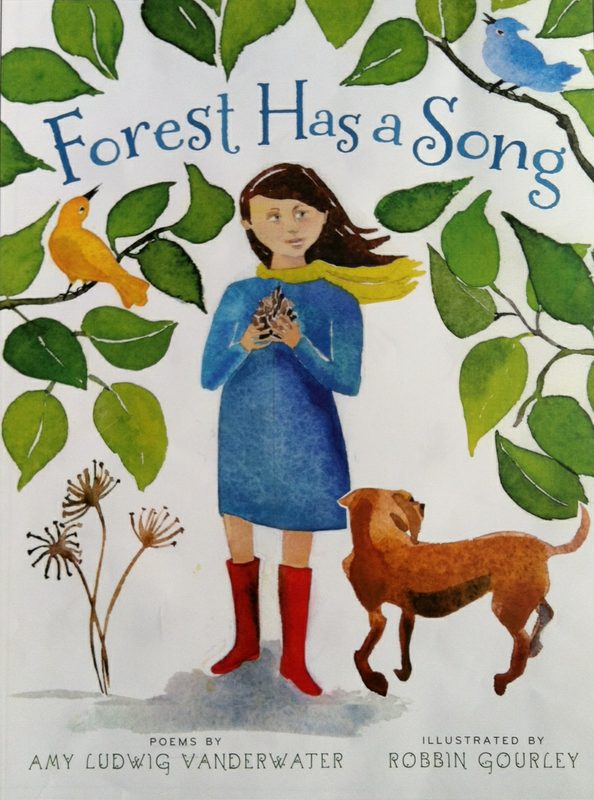 The discovery of children's publishing links found at The Poem Farm opened students' eyes to the possibility of sharing their work with a much larger audience. One thing led to another, and soon we had a publishing station up and running in our classroom. 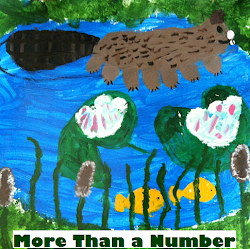 We filled it with all of the resources needed to polish and publish -- mentor texts, poetry anthologies, samples of published work, submission guidelines, contact information, envelopes, publishing paper, pens, markers, crayons, watercolors, and colored pencils. Students have caught the publishing bug, dreaming big, letting their talent and hard work lead the way. My dream as a writer is to have someone recognize the potential of my writing and that I'm not just a girl who wrote something smart. I'm a girl who has guts! My dream is to get my poem published in the magazine STONE SOUP. I hope I get a lot more of my poems published. My hopes and dreams of my future poem writing are to get really good and then have my own website (like The Poem Farm). Once I know that publishing is what I want to do, I will then write an anthology of some of my best poems. I'll send my draft to an editor, then when I get the changes back, I will get my finished copy done and sent out. In no time, hopefully I'll have my anthology in stores. Then I hope to become a big poem writer. I draw my pictures with words. Much gratitude and warmth to these students and their teachers for sharing their beautiful work, exciting publishing station, and writing spirit with us on this Poetry Friday! Please write and let us know if you try some of their ideas. Teachers - if your students write poetry from any of this month's online lessons and are inspired to share, please let me know. With permission, I'd love to host their work here in May! Visit Madigan at Madigan Reads for the complete Poetry Friday roundup in all its glory! I had never heard of the term circular poem before. I did, however, recommend the repetition of the beginning line(s) of a poem as a good way to end a poem to my elementary students. It worked out so well for my kids when they hit a wall with their poems and couldn't come up with good endings. I especially like your Anticipation poem about Miss Robin. What a fun writing prompt, Amy. Thanks for posting your samples. I'm partial to Connor's football poem -- cramp/damp, he handles that rhyme so well. Thanks for inviting us to share in your post today! My students were delighted to see their work on The Poem Farm! Thank you all for stopping by today! Kristie - it was simply my pleasure to have your students work here today. Really - putting this post up was a complete joy! Thank YOU all for sharing with us. A. This is just great! So proud of these students. Really good stuff there. I never noticed how many of your poems have a circular ending. As I re-read the examples you've given us, it makes me realize how much that kind of ending makes a poem seem like a song with the chorus sung again at the end. Maybe your next project can be to put your poems to music!! Mary Lee, How did you KNOW that trying to learn the guitar is my next goal? Hmmm...singing the poems. :) A.